I modded this with the Airbot wave 18a 4in1 ESC and man does it fly better!! Ok, I tortured the Hyperion HV Graphene batteries and I can say the ones I got are good and I can recommend them. This was surprisingly good and flew very nice! I was shocked by it and didn't even think it would fly. It had an HD camera that links to a phone with wifi for fpv flying. For $70 it's really good and includes everything. 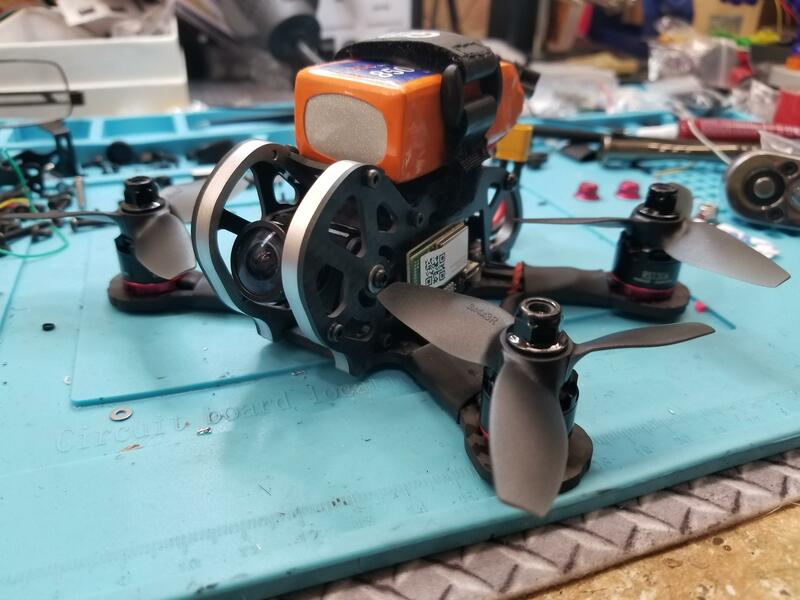 Did a build using the Neato Fastback frame, RunCam Split Mini and a HGLRC XJB F440. Turned out great but I do need to put dampeners under the motors to keep the RunCam from producing Jello. I knew the DJI "racing goggles" were going to be horrible all a way around and another half baked product that is NOT for racing and too be honest not worth the money. I did get some of the usual DJI marketing people on here mad because I wasn't going to drink the DJI koolaid but I was just warning others that may not know better NOT to get these goggles for any kind of racing. But don't take my word for it... FINALLY a REAL review NOT from a DJI shill or sockpuppet. I received a RunCam Split Mini yesterday and I'm very impressed by how small it is. The build quality on the camera unit is great but the two boards have to be mated to each other and great care needs to be happen to do it properly. There is a small blue pad that is between both pieces that is used to transfer heat and pins that are on the boards that have to line up perfectly. The blue heating pad needs to stay clean along with the surface to where the blue pad sits on the board surface. If not done properly I think heating will become an issue. Overall I'm very happy the direction that RunCam went with this unit and with the weight of the unit with metal standoffs is 18g so 13 grams above a Swift micro. The ribbon cable is also much better than the Split V1 and V2 and is more robust. Overall I don't see the need for the V1 or V2 except for the mounting pattern of the mini is 20x20 as opposed to the 30.5 mounting pattern of it's predecessors. DJI has announced their race edition goggles recently. They say that the latency is AS LOW as 50ms, provides HD footage, has a DVR and also has one 5.8ghz receiver. 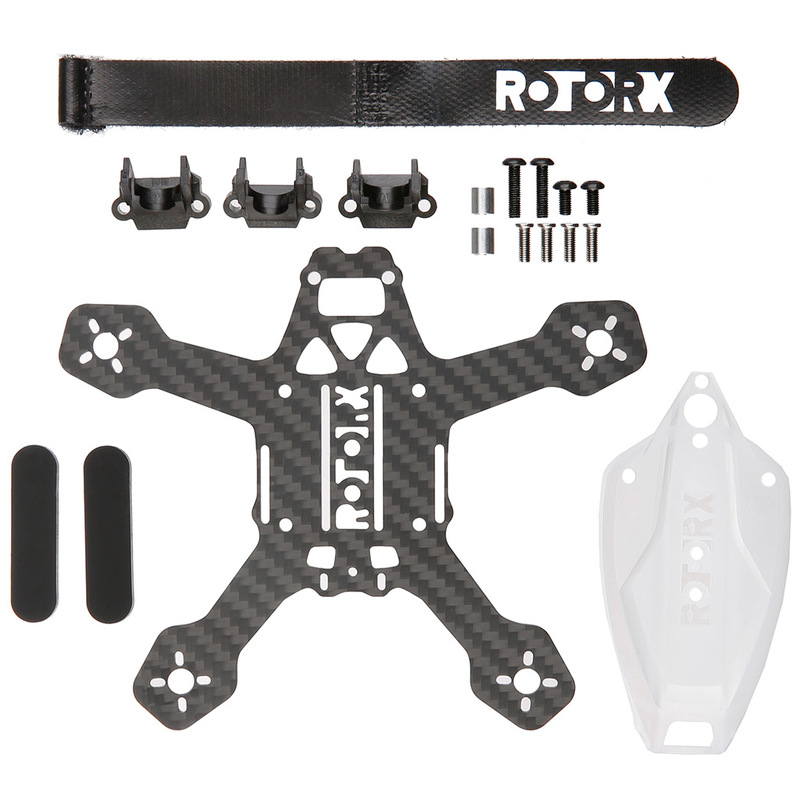 The flight characteristics on this are like many heavy 3 inch quads and if I was to do it over I would build this as a 4 inch with 1407 motors and 4s. If fact it would be perfect as a 4 inch quad and fly very nice. I built this so the battery is on the top so I could lower the stack inside the frame. This allowed space for the FC's USB connector and also allows me just to unplug the Split so I can get my files off of it though the Split's USB without the worry of feeding power back to my FC and burning it up. The Split V1 WiFi is horrible because there is just too much interference from the VTX to allow it to work effecitvly. I have the V2 for another build and RunCam did address many of the V1's short comings. 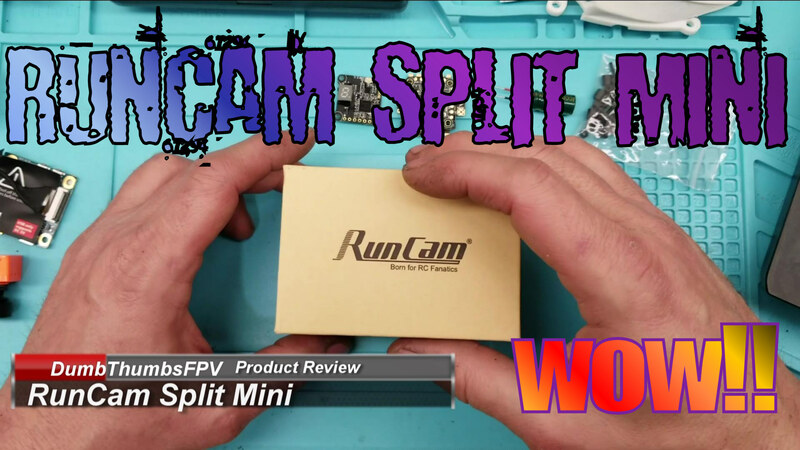 Anyway all of it is in the videos so I hope you enjoy and maybe give some of you an idea how to mount the RunCam Split in your builds. Strix Parallel Charging board V2 Joshua Bardwell line 4s and 3s? After watching Joshua Bardwell's introduction and review of the Strix 4s Parallel charging board and all of the safety they had in mind when designing it, I decided to give it a try. I never really got into parallel charging my larger packs because of safety and what I like about the Strix is the on-board voltage readout and the poly fuses used on the balance leads. These two simple features really make this board stand out from the rest along with the overall robust quality of components and rugged construction. For $26 this is a very nice product but it does have one glaring issue.. it's only made for 4s packs.. or is it? I decided to take a closer look and after spending some time studying the tracers and components, I could not see why this would not do 3s as well. I got out some 3s lipos to give it a try and shaved one of the nubs from the balance leads so it could plug in and it worked! I charged 5 3s 850mah lipos with the board no problem and shot off a private message to Strix letting them know that with a simple mod to the balance plug they could market this as a 3s and 4s Parallel charging board. If you are thinking about Parallel charging for the first time or are thinking of replacing you current parallel charging board then take a look at my review and see what you think. For those that never parallel charged batteries then this board is definitely for you and I explain in my video how to parallel charge. Realacc Purple 215 5 inch build for under $200? Is it possible? Is it possible by taking advantage of BangGood sales to build a great all around 5 inch Quadcopter for under $200? A: Yes it is. As we all know, BangGood is ALWAYS having a sale.. If you don't like the price of something then just wait .. 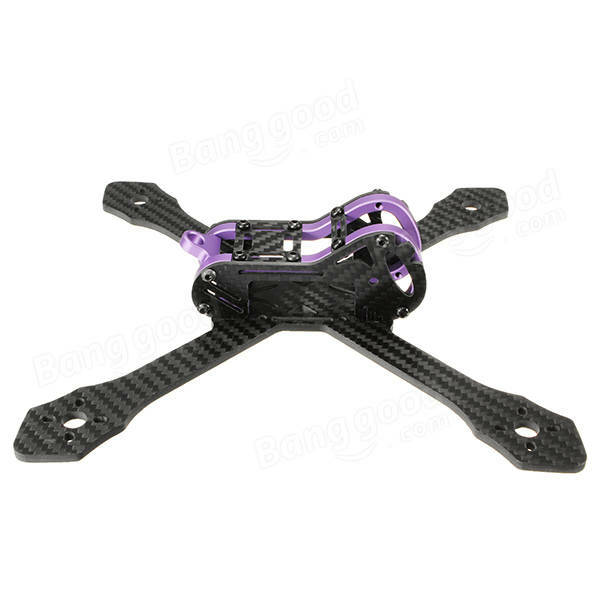 I received an email about BangGood's anniversary sale back in September and seen the Purple 215 frame on sale for $19! I wasn't sure about the quality of this frame, but after looking at some other reviews, it seemed to be a very strong and good frame. 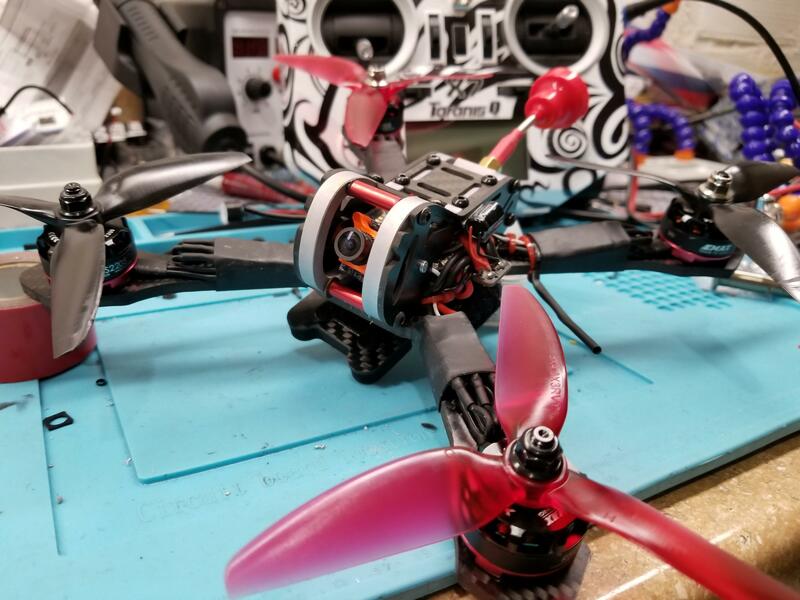 It was at this point I wondered if it was possible to build a decent build for my viewers for under $200 and started looking at some of the other components that BangGood has on sale that day. 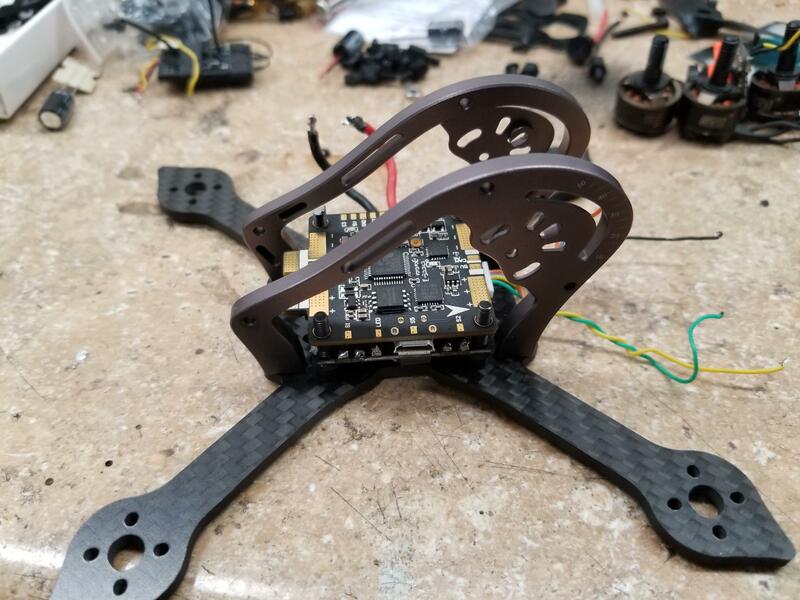 I have noticed the prices on the components fluctuate and I've seen these prices on BangGood before and after the Anniversary sale so if you want to build this then just wait for the prices to match or even be better. Coupons are also nice and could actually make this build even cheaper. 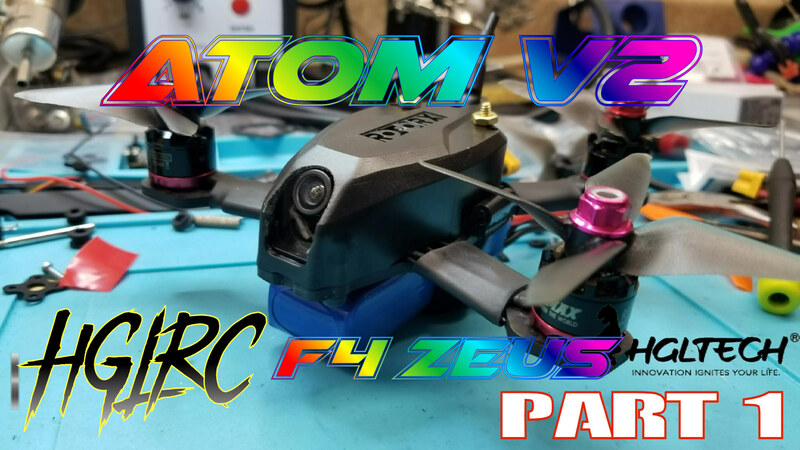 I decided to do another build based on the Atom V2 frame after seeing that the F4 Zeus became available from HGLRC. 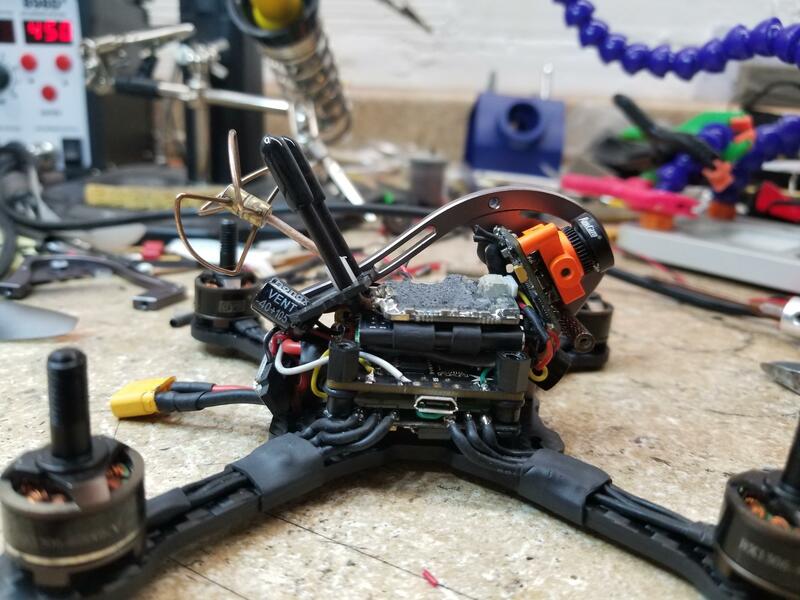 The first edition of the "Poor man's Atom V2" took a pretty hard crash into a water tank and unfortunately the OSD chip on the HGLRC F3 V4 FC gave out, Even though I felt bad about taking out the FC, I got hundreds of flights and crashes out of that board. I was actually surprised that after ripping the antenna off of the board three different times that the board worked for as long as it did. I like the Atom V2 frame kit because it's extremely durable, protects the electronics, lightweight and looks damn good! I got this board and did an unboxing and introduction. Should have flight videos this weekend. The XJB F428-TX20 stack is $71 but with this camera included it's $84 so it's a great deal! Both have free fast shipping as well!! As you see in this review, I believe this is either made by the same factory as the RunCam or they cloned it but HGLRC is a small company so I don't think they have the ability to clone a camera like this so they probably bought the camera. Either way I found this camera to be better for color and I liked the fit of the lens on it as opposed the RunCam. I really liked the look of the GEP frames and thought I would try them out. Luckily GotHeliRC.com started to carry them so I bought the 139mm version from them. As usual the package came well packed and with fast shipping. The first thing I noticed when I opened the box was how nice the fit and finish was on the frame and the on the frame printing of the camera angles was a very nice touch. 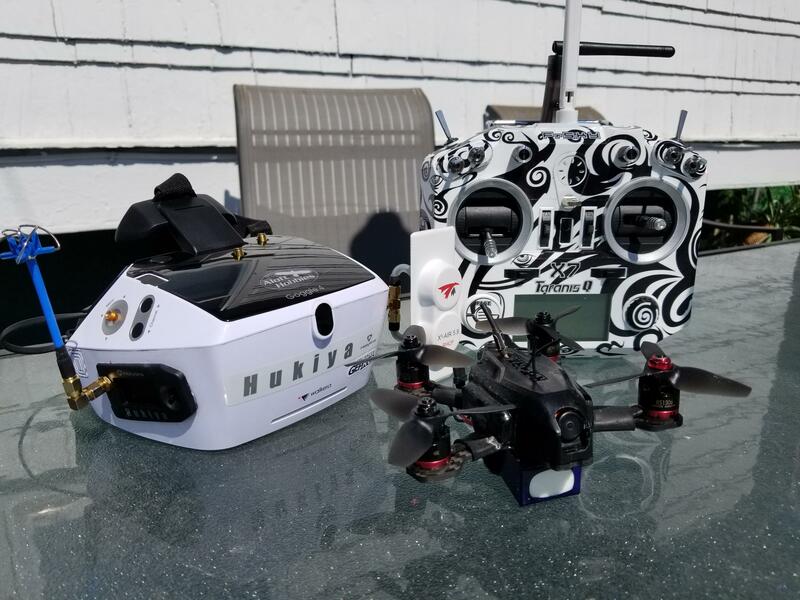 At first I was going to put in a HGLRC XJB F428 TX20 ELF All-in-One TOWER but there wasn't one available in the US. I ended up talking GotHeliRC.com into carrying HGLRC products but they didn't have the small stack in when I did this build. I ended up using components from previous builds plus a HGLRC F3 V3.1 that had been sitting on my bench for some time. Running the above components was going to be a very very tight build but I knew with some thought and persistence it could be done. 2. A lot of light leaking in from around the face pads, vents in the sides, around the split in the middle of the two halves and also through the white plastic. 5. Battery is not changeable!! !